Get clean, bright, residue-free dishes naturally with Seventh Generation Dishwasher Detergent. The non-toxic formula uses plant-based enzymes for greater cleaning power. Makes effortless work of whatever is waiting in your dishwasher. Chlorine bleach-free, phosphate-free and has no harsh fumes. No dyes or synthetic fragrances. The lemon scent is derived from whole essential oils and botanical extracts. 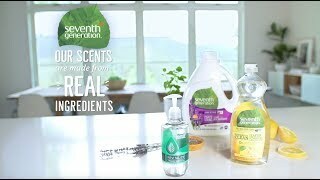 Order Seventh Generation Automatic Dishwasher Detergent Gel today. Stock up and save!